The full results of the Midterm elections and there are many facets that still require examination. The headlines seem to focus on the Democrats gaining a majority in the House of Representatives. Equally noteworthy are the wins for the GOP in the Senate. The implications for the Electoral College in 2020 are favorable to the President. There are new demographic changes to examine as well. There is also the sad story of ever increasing anti-Semitism in the Democrat Party. In the end the results are not as exciting for the Democrats as they might appear, or as the media portrays them. The election represented the highest turnout in a midterm election in history: over 110 million votes were cast. Credit must be given where credit is due. While this author postulated that it was possible for the GOP to defend the House Majority, the Democrats managed to gain 41 seats, many more than the 23 needed to achieve a majority. Democrats should not celebrate too quickly. These gains came after significant fundraising, organizing, candidate recruitment, and voter turnout. It is also important to note that more than 40 GOP incumbents chose to quit their seats thus making them all the more vulnerable. There was also the funny business about ballot harvesting in California. This win does not reflect any special love of the Democrat Party or its leadership or policies, but the ever realigning politics of various demographics within the United States. Courtesy Wikipedia. Dark blue or red indicates a seat changing party. Suburban, educated, more affluent voters are shifting still farther left away from the GOP for the Democrats. This trend began in infancy in 2016. These voters are hardly reliable, however. In Arizona 12% of those who voted for the incumbent Republican governor also voted for Democrat Kristen Sinema for Senate. How these voters could choose a leftwing extremist nutter (Sinema) over one of the most qualified female candidates ever to run for office, Martha McSally, is unclear. Nevertheless, these voters are not extremely loyal to the left. Of the seats gained by the Democrats many were extremely close. There is a good chance the GOP will reclaim 10-12 of these seats in 2020 with higher voter turnout among the Republican base. Republicans will need to gain only 18 seats to reclaim the majority in 2020, 5 fewer than the Democrats needed this go around. Shifting demographics can work both ways: in 2020 a number of Democrat districts could become vulnerable. Democrats were not the only winners, however. Less educated, working class voters are shifting rightward. The latter demographic is slightly less likely to turnout in midterm elections. Their impact was felt, though. The GOP gained two rural House districts in Minnesota, and one in Pennsylvania (the last of these the result of Pennsylvania’s redistricting debacle in the courts). These seats represent the shift of working class voters toward the GOP. The GOP also made significant gains in the US Senate. The GOP successfully defended its seats in Tennessee and Mississippi which were thought to be vulnerable, but turned out to be quite safe. The GOP was not able to defend its seats in Arizona (discussed above) and Nevada. In the latter case, California expats fleeing the higher costs associated with high taxes and stringent environmental regulations have relocated to Nevada and brought their poor voting practices with them. In spite of those losses, Republican candidates defeated incumbent Democrats in Florida, Indiana, Missouri, and North Dakota. The loss of 2 and gain of 4 means a net gain of 2, confirmed last week when Mississippi’s runoff also resulted in a comfortable GOP win. Courtesy Wikipedia. Light blue or red indicates a seat changing party. The Senate gains were rare for a party holding the presidency and reflect a popular repudiation of Democrat Party tactics in the Kavanaugh hearings. The false accusations, protests, and harassment of Justice Kavanaugh and his family certainly cost the Democrats at least two seats. Curiously, Democrat Senator Joe Manchin of West Virginia voted in favor of Kavanaugh’s confirmation and sailed into an easy reelection. Is there a lesson here? Certainly. The gains in the Senate are of special consequence to President Trump whose cabinet and judicial appointments are now made safe. What is more, in order to send legislation to the President’s desk, a compromise must be reached between the Republican led Senate and Democrat led House. This prevents the Democrats from sending legislation to the President that would force a veto and could show negatively upon the President. House Democrats can pass whatever bills and resolutions they like, none of them can have any effect without the Senate. Perhaps the greatest winner of this election, however, was President Donald Trump. Not only did he prevent greater damage in the House, and lead the GOP to gains in the Senate, he has eliminated most of his opposition from within the GOP. The Representatives who departed and Senators Corker (R-TN) and Flake (R-AZ) who chose not to seek reelection because they were so unpopular they could not be renominated to run for office, represented the internal opposition to President Trump. Only the election of former Massachusetts Governor and 2012 GOP nominee Mitt Romney to the Senate in Utah went against President Trump. Most of the incoming Representatives and Senators are either friendly to Trump or very much owe their offices to his efforts. In the House, incoming minority leader Kevin McCarthy is already pushing the “build the wall” agenda. This demonstrates his awareness that the GOP is now firmly President Trump’s party. The election results were also strong for President Trump’s reelection. In Florida, Georgia, and Ohio the victory of Republican governors in hotly contested races is a good sign for the President’s 2020 prospects. In Wisconsin, Republican Governor Scott Walker went down to a very narrow defeat, demonstrating that this state is also close and competitive for 2020. In Michigan GOP Senate candidate John James made a close call of what should have been a blowout reelection bid for incumbent Democrat Senator Debbie Stabenow. Michigan continues to be a possible win for Trump. When it comes time to count the electoral votes in 2020, there is no reason to believe that any of these states, that landed in Trump’s column in 2016, are beyond his ability to reclaim. The President thus rides into his reelection bid with a strong position. 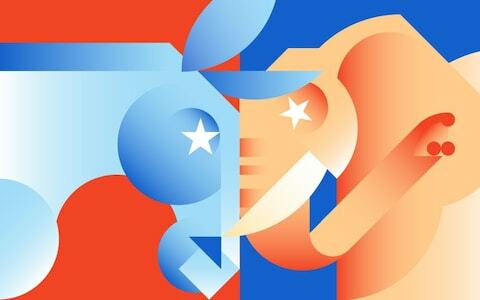 Higher voter turnout and excitement for the President’s agenda will help to defend the GOP incumbents in the Senate in 2020, almost all of whom should be safe. In Alabama the GOP can reclaim the seat lost to the Democrats in a quirky 2017 special election full of allegations of misconduct. Of all of the GOP seats on the ballot, only Arizona appears immediately vulnerable given the recent results. Senator Jon Kyl, who has served Arizona as a senator in the past, was appointed to fill the vacancy left by Senator John McCain’s death. It is likely he will not seek reelection, offering GOP voters a chance to nominate a new face. The GOP candidate will have a better chance given the presidential election. The GOP could lose that seat and simply hold the current 53-47 majority by gaining Alabama back. It is possible the GOP could also gain a seat by holding Arizona. As for the House, it is certainly not impossible to earn 18 or more seats in the House and restore the majority. The single most disturbing trend among Democrats elected to this Congress is the growing anti-Semitism of the left. Ilhan Omar, an incoming Congresswoman from Minnesota, mischaracterized her views on Israel during the campaign only to come out swinging afterwards. How the Democrats can support candidates who advocate violence against Jews and attack Israel in favor of terrorist organizations like Hamas, Fatah, and Hezbollah, is unclear. Several members of Congress attended a dinner recently with Louis Farrakhan, who has referred to Jews as “termites,” has called for violence against Jews, and who recently led chants of “death to America” in Iran, and there has been no consequence. This kind of overt anti-Semitism seems to require no apology from the Democrats. Jews are no longer a minority worthy of defending apparently. It would seem the pro-Israel community will be among those moving rightward in the coming years as the Democrats embrace hate and bigotry. Another tragic trend is that of replacing sitting, experienced members of Congress with nutter radicals. The election of Alexandria Ocasio-Cortez to the House of Representatives from New York is a prime example. Cortez is a young former business owner who possess a degree in economics yet proves entirely economically illiterate in conversation. The left wing media attacked Sarah Palin for not being able to name foreign policy periodicals and for joking that she could “see Russia” from her hometown in Alaska. In addition to this they mercilessly attacked and harassed her family. Cortez, on the other hand, gets a pass for claiming that unemployment was low because people have two jobs, demonstrating that she has no idea how U3 unemployment numbers are calculated. She received blowback only when she claimed, ridiculously, that the Pentagon had some $21 trillion in unaccounted for funds (more than the United States has spend on its defense in the nation’s 200+ year history) that could be used to pay for the estimated $32 trillion cost (over 10 years) of Medicaid for all. How an economically illiterate person achieves a bachelor’s degree in economics is as much a curiosity as a functionally illiterate high school graduate. How this happens is a matter for another article, how such a person is elected to Congress is as something from a Shakespearean tragedy. Finally, there is the long-term historical trend that warrants a mention. The graphic above shows midterm election results in their proper historical light. 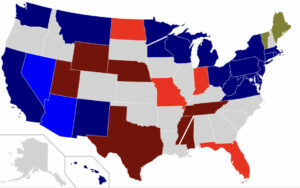 It is rare for the President’s party to gain seats in a mid-term, especially in the US Senate. 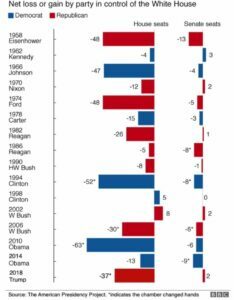 Bill Clinton lost 8 Senate seats in 1994 and saw no change in ‘98. Bush gained 2 in 2002 and lost 6 in 2006. Obama lost 6 in 2010 and 9 in 2014. In the House we see much the same trend. Presidents tend to lose seats there in larger numbers. In 1994 the GOP gained 52 seats and 63 in 2010. Clinton and Obama both sailed on to reelection thereafter. The Democrats picked up 30 in 2006 before winning it all in 2008, only to see it all reversed in 2010. This begs the question: since midterm elections have lower voter turnout and unnecessarily hamper law making and policy making. Perhaps it is time to consider a four year term for the House of Representatives?